Renovated Pine Cliffs Hotel in Portugal re-opens with new holistic wellness spa Archi-new - Free Dwg file Blocks Cad autocad architecture. Archi-new 3D Dwg - Free Dwg file Blocks Cad autocad architecture. Pine Cliffs Hotel, in the Algarve, Portugal, has completed an “all-encompassing,” US$57m (€51m, £44) 18-month renovation, adding a new contemporary Pine Cliffs Ocean Suites. The resort has also joined Starwood’s Luxury Collection as part of a multi-million dollar investment to restore the brand’s most iconic hotels around the world. “The spectacular transformation of the iconic Pine Cliffs is testament to the collaborative and longstanding relationship we enjoy with United Investments Portugal,” said Michael Wale, President, Starwood Hotels & Resorts, Europe, Africa and Middle East. Reimagined by designer Lynne Hunt, the 217 bedrooms, along with the public areas and facilities have also gone through extensive renovations. The resort evokes Pine Cliffs’ Portuguese heritage with historic features such as the azulejos – traditional hand-painted tiles that were fired in the kilns of Lisbon’s Fábrica de Cerâmica Constância – as lavish, one-of-a-kind headboards in each room. The lobby walls feature grand panels recounting the discoveries of Vasco de Gama and Ferdinand Magellan as well as a detailed map reproduction of the Mediterranean by famed medieval cartographer Giorgio Sideri. 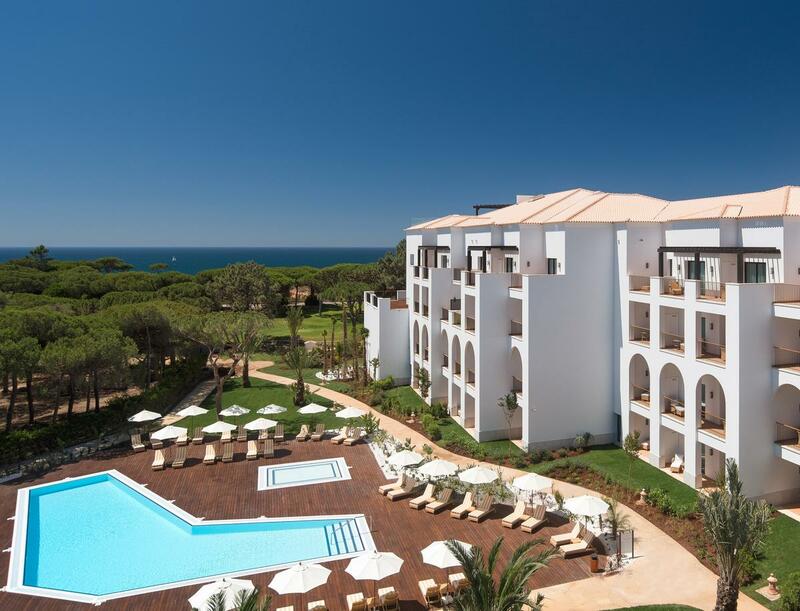 Spanning over 170 acres across the Algarve coastline, the resort boasts 11 restaurants and bars, six swimming pools, a kids club, an Annabel Croft Tennis Academy, a nine-hole golf course, expansive gardens, shops and boutiques, and more than 23,000sq ft (2,137sq m) of event and meeting space. The new Pine Cliffs Ocean Suites comprise 148 suites, one- and two-bedroom luxury apartments with personalised butler service and full access to all of Pine Cliffs’ facilities.